Summer is almost here and that means kids are out of school; which mean I am out of school too!!! 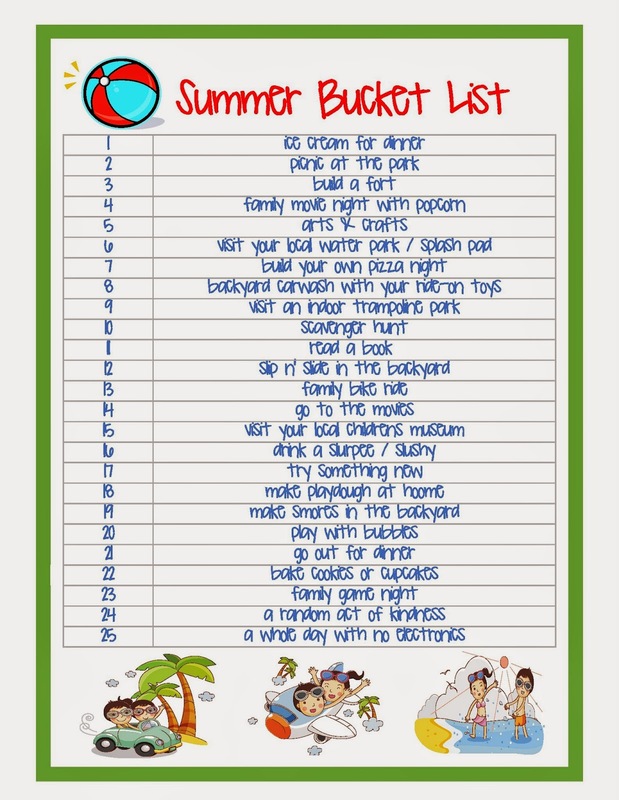 In the mean time I created this fun summer bucket list to do with our kids! When I created this list, I kept in mind that people may be on a budget, you want to stay local or within driving distance, and things that you can do in your backyard. You do not have to do these in any particular order. Once you complete the activity put a check mark by it, the date or what ever you want to show that you completed all these activities over the summer. Download your FREE Summer Bucket List! I can’t wait to get started on these activities with the kiddos!!! Enjoy your list with your kids and take lots of pictures!! !